Is bigger really better? According to 2012 registration statistics from the American Kennel Club (AKC), that seems to be the case with some of the bigger breeds making their move into the top 10. In 2012, the Bulldog muscled its way into the top five, becoming the fifth most popular dog in the U.S., bumping the tiny Yorkshire Terrier into sixth place for the first time since 2003. The Golden Retriever also pushed its way back to the top, overtaking the Beagle for third place, and Rottweilers continued their climb up the top 10 list by taking ninth place away from the Dachshund, both adding to the bigger breed trend. Labrador Retriever lovers have again spoken – the playful, family friendly breed remains the number one most popular breed in the U.S. for the 22nd consecutive year, tying with the Poodle for the longest reign in the top spot. While not in the top 10, some small breeds like the French Bulldog and Havanese, continue to march up the list. The Frenchies have gone from 58th to 14th place over the last 10 years while Havanese have moved up from 64th to 28th. 2012 Most Popular Dogs in the U.S.
Mastiff-type breeds have risen in rank, with the Mastiff going from 34 to 26 and the Bullmastiff from 47 to 39 over the past decade, and the Cane Corso (67 to 60), Neapolitan Mastiff (116 to 112), and Dogue de Bordeaux (69 to 67) all making gains since the year they became recognized. "Bully" breeds have pawed their way into people's hearts over the past decade with the Bull Terrier (79 to 51), Staffordshire Bull Terrier (91 to 76), and Miniature Bull Terrier (132 to 126) all making strong gains. Dog owners are showing their love for Sporting Breeds over this past year as the Spinone Italiano(123 to 114), Boykin Spaniel (138 to 116), and Welsh Springer Spaniel (130 to 125) have all made their way up the list. Small dogs that are on the rise this year are the Havanese (31 to 28) and Affenpinscher (139 to 138), while the Chihuahua (14 to 18), Pomeranian (17 to 19), and Pug (26 to 30) seem to have fallen out of favor. In addition, the AKC expanded its litter of recognized breeds on January 1 to include the Chinook and Portuguese Podengo Pequeno, growing AKC's family to 177 breeds. Find more statistics, including the most popular breeds in your state here. I am always disappointed to find my breed down in the 30s on the list. Oh well...not everyone can have a Toto dog I guess. Interesting! I'm shocked Aussies aren't on there! I was upset that Shelties didn't make the top 10...probably because they bark too much lol. I am going to check the trend for my state. Thanks fo r this! Well totally without meaning to I have a Beagle (#4). But I am very certain Fenris (my mutt) would be #1 if he was a recognizable breed with his blue eyes and outgoing personality. Everyone who meets him falls under his spell. Personally, I'm just happy that my ancestors are actually being recognized by the AKC! WooHoo for Russell Terriers at 43 in their first year! :-D Interesting statistics though! I'm going to be the naysayer here....No one really wants their favorite breed to make this list! The more popular the breed...the more of them find their way into the puppy mills! Cardigan Corgis inched up a few notches this year and I hate it! I hear you! It's important that people really understand if the characteristics of a certain breed will work for their lifestyle.... and popularity shouldn't have anything to do with a puppy choice. As adorable as Havanese are, they do require a good bit of grooming and attention. And if you don't have time for them, they're not the right dog for you. Thanks for making a great point! 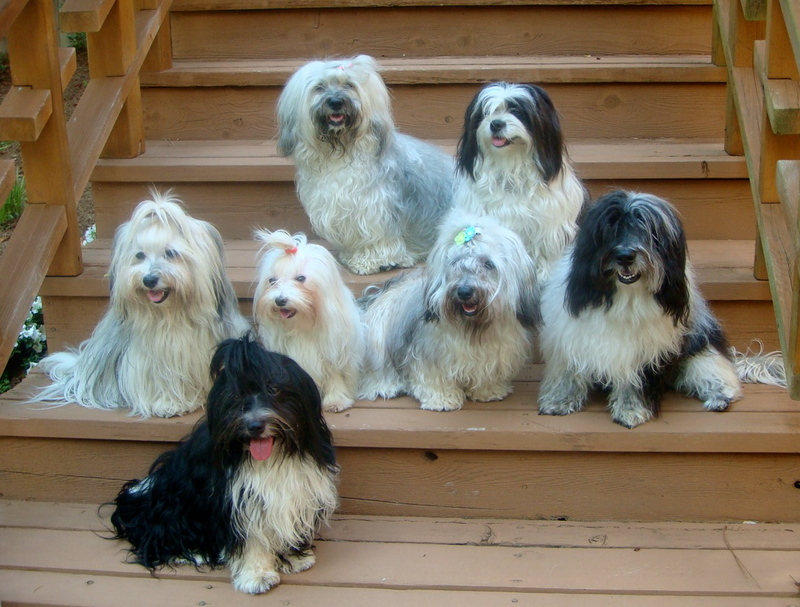 Well i think you are doing a good job at sharing the wonderful personalities and cuteness the Havanese has to offer. Looking at previous years' lists it seems the top 10 dogs stay pretty much the same, they just move around. It's not surprising as these are the breeds most people recognize and think of when they picture a dog. What I am curious to know is where the mixed breed dog stands on this list. Do more people own purebreds or do more people own mutts? I am going to see if I can find any research on that. The ukc or theUnited Kennel Club, Staffies and APBT are of the same breed but many disapprove of this suggestion. For instance, if the American Kennel Club has an American Staffordshire terrier, it will be registered as an American pit bull terrier by the United Kennel Club. I believe these dogs would be in the top ten if they were better understood? Havaneses r so cute n floofy n deserve to move up. Dey shuld be in top ten! Nice sharing! I've a question that, which dog breeds might be thought common among or stereotypical of conservatives and Republicans? I am just curious about this!